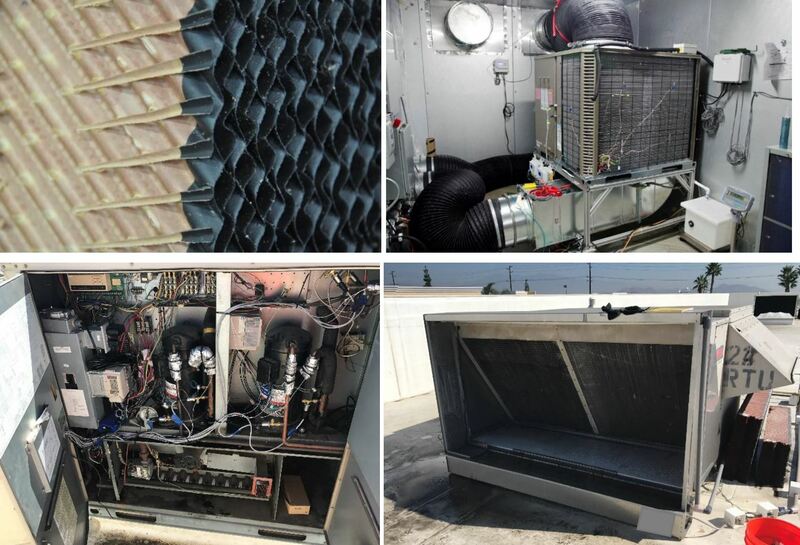 This report describes a laboratory and field evaluation of a retrofit package to optimize the performance and efficiency of packaged air conditioning and heating Roof Top Units (RTUs). The package included Variable-Frequency Drive(s) (VFDs) to reduce the speed of the compressor(s) to 48 Hertz (Hz), and a condenser-air pre-cooler. This retrofit package is being considered as a method to save energy associated with air conditioning at all conditions, reduce peak electricity demand, and permanently reduce load on the compressor.